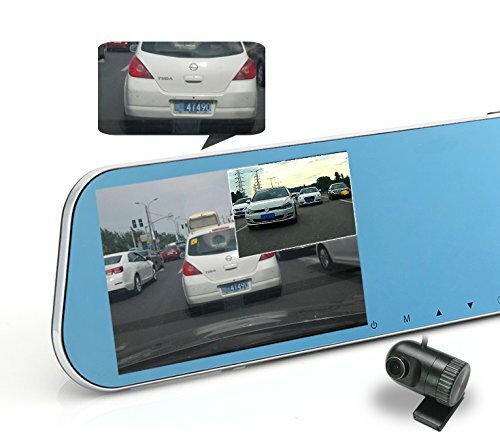 Rearview Mounted Camera – A standard review mirror with built-in 5” IPS screen, our dash cam mount offers single front or front/dual cam modes with hands-free, high-definition recording clarity at 30 fps in a continuous loop. Automatic Motion Detection – Once movement is detected, the R100 begins recording for a short period of time—and shuts off automatically—even if the vehicle is off. This advanced parking mode is essential for protecting parked cars! Superior Night Vision – The 6-glass lens design and wide dynamic range (WDR) give you high-definition video recording both day and night. What’s more, you’ll enjoy a digital 1296P front camera and 1080P wide angle rear camera for full HD coverage. 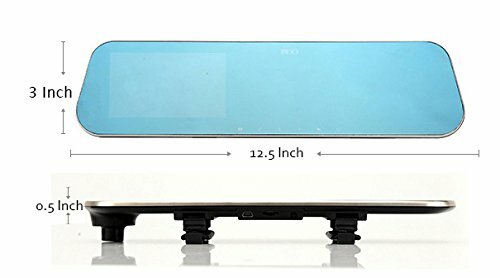 As insurance cost keeps climbing up, if the HD video proof could work for you just once, you could save more money than the price of this dash cam. 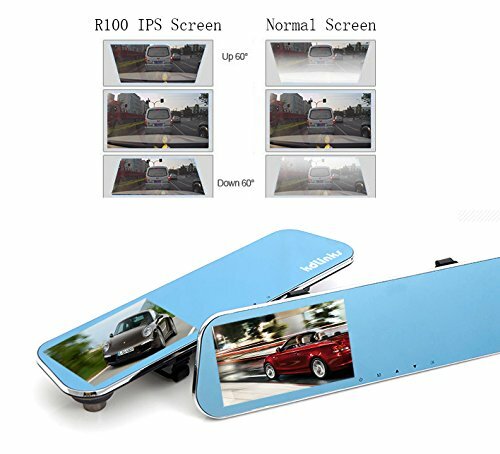 The R100 Dash Cam has a number of modern solutions, useful for all drivers. The dashcam starts recording immediately after turning on the ignition. 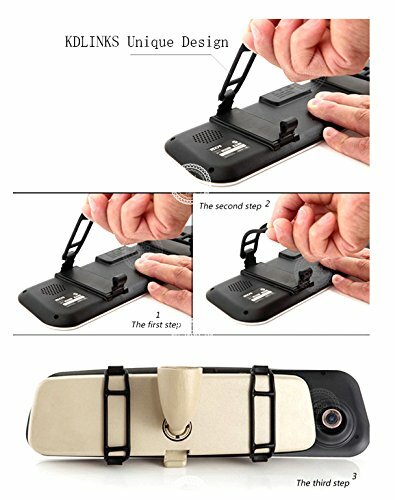 It has a night mode ensuring high quality recordings also in poor lighting conditions. The WDR system will make no detail escapes high quality R100 dash camera lenses. The R100 Dash Cam records Full HD videos in 1296P at 30 fps with H.264, and full HD (1920*1080P) from rear camera! The use of six-glass lenses and an extremely sensitive sensor ensure excellent quality. As a result, the video quality is very detailed and smooth. * Unique AUTO-OFF feature: Useful for some cars that always supply power to its cigarette lighter port, you do not have to manually turn off your R100 Dash Cam each time you turn your car off. * When the R100 detects any movement, it will start recording for a short period of time (Require constant power supplied). 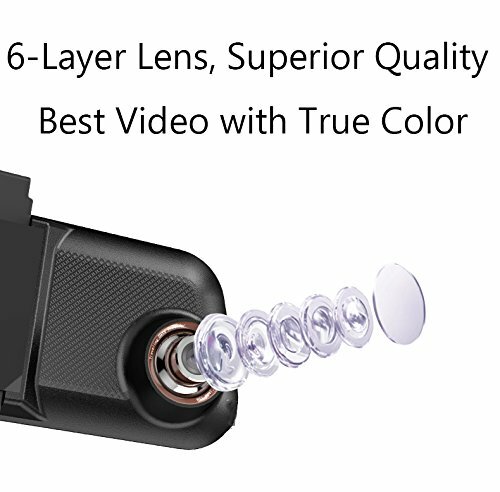 * Rear Camera can record 1080P HD quality video, not normal VGA low resolution or 720P. * We care about our customers! Emergency Lock Button & Accident Auto Detection Feature (G-Sensor) can lock current video file for you. 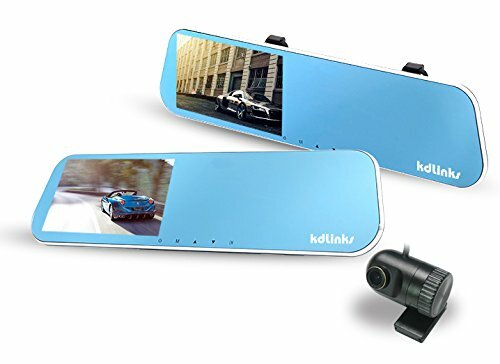 High-Power, Built-In Battery – Each dash cam system not only features an HD IPS screen, it supports a 64GB or 128GB micro SD card and boasts an 800mAh internal battery to provide long-lasting support even without constant power input. 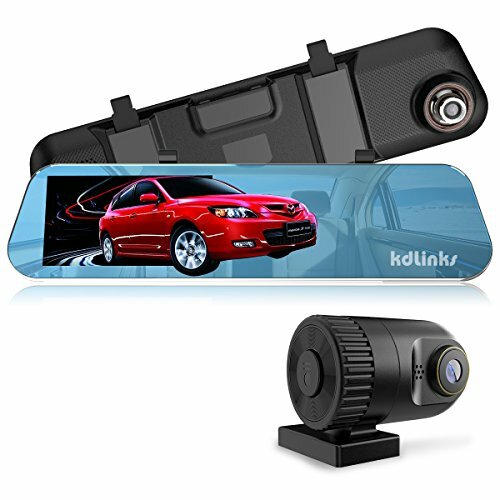 Trusted 1-Year Warranty – Every KDLINKS R100 dual dash cam kit is backed by premier customer support, unbeatable craftsmanship and quality, and a reliable 1-year warranty to ensure you get the best product and year-round support.